A winter themed app for addition practice in iPad centers. A Saint Patrick's Day themed app for addition practice in iPad centers. A Halloween themed app for addition practice in iPad centers. A Halloween themed app for multiplication practice in iPad centers. A spring or summer themed app for addition practice in iPad centers. A spring or summer themed app for multiplication practice in iPad centers. 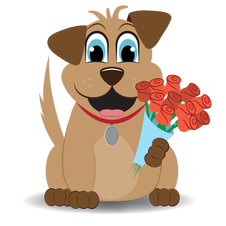 A Valentine's Day and puppy themed sticker pack for iOS. A Christmas and kitty themed sticker pack for iOS.